On our last trip to Walt Disney World we experienced every parents’ nightmare. 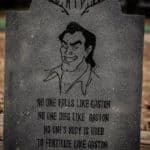 We lost one of our children. While shopping at Disney Days of Christmas in Disney Springs, we turned our backs for just a moment and Jackson was gone! Our hearts sank. We frantically began searching the store. No luck. James asked a Cast Member if they’d seen him. They didn’t. I went outside and began circling the building calling his name. Nothing. Once I came back in I hoped and prayed James had found him. Still not there. We did one more sweep of the store when suddenly he popped out of the inside of a clothing rack gleefully yelling “Surprise!” We were relieved to say the least. After we got done covering him with hugs and kisses, we looked at each other and knew we did something wrong. This moment was a huge wake up call for our family. 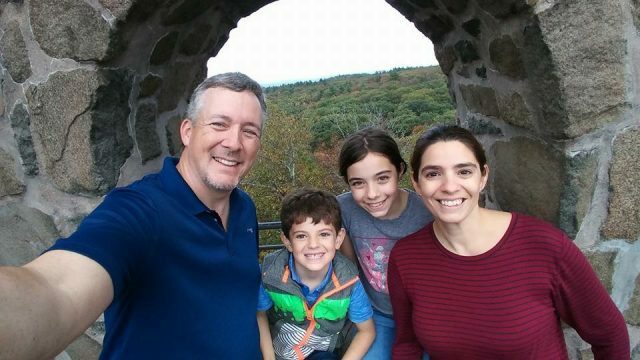 We realized that in the event that Jackson or Bella actually did become separated from us, they were not fully equipped with the knowledge or information that would get them back to us safely. 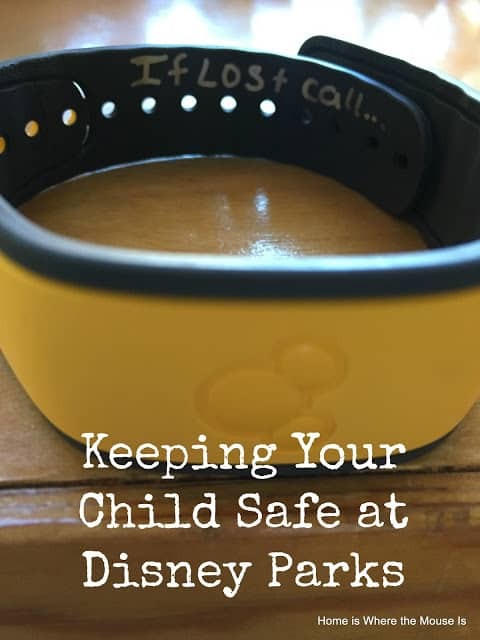 It prompted us to make some changes in order keep our kids safe and protected while on vacation. While the scenario above cannot be entirely avoided, there are some things you can do. Learn from our mistake. Here are some suggestions. While Bella knows our home phone number, she does not know either one of our cells. When you’re on vacation, this will be the number they will need to contact you. If your child is capable of memorizing, before your vacation, teach them your cell phone number. Back in the day, I taught Bella using the old ’80s hit, Jenny 867-5309, replacing that number with ours of course. Recently, Genevieve Goings of Choo Choo Soul came out with a new song to help kids learn their number. Temporary tattoos can be used to ensure your phone number will go where ever your child goes. There are a wide variety of options to choose from in many designs. It’s best to place them in places that will get less wet throughout the day such as the upper arm (also it’s hidden under sleeves). If you’re not into tattoos, you can buy Travel ID Bands to wear around their ankle or wrist. Your personal information is located inside the band and away from prying eyes. You could also buy number beads and create a bracelet with your phone number on it. Since most kids wear Magic Bands in the parks these days, you can make them serve two purposes. Just like the Travel ID Bands, you can write your personal information on the inside of the band in permanent marker or paint pen. I used to watch Mr. Rodgers religiously when I was a kid. One of the most important lessons I learned that in times of trouble, always look for the helpers. You’ll always find people helping. That lesson can be applied to a child getting lost as well. Becoming separated from your parent can be a very scary thing. But if you teach them to look for the helpers, they will find the help they need. In this scenario the helpers are the Cast Members. Something we have done as parents is teach our kids what a Cast Member name tag looks like. We’ve told them that if they get separated from us, find the nearest Cast Member or Security officer (they also wear a Cast Member ID badge). Parents: Cast Members will take your children to the Baby Care Center if they don’t see you in the immediate area. This tip is for you. As the panic of finding out your child is lost sets in your mind goes blank. Even the simplest detail such as what they are wearing can be erased from your memory. 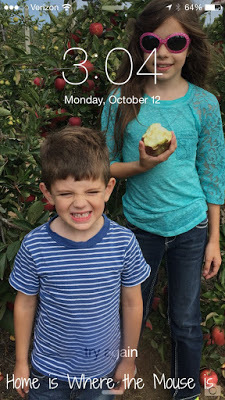 Before you head out each morning, take a picture of your kids on your phone and set it as your wallpaper. In the event of an emergency, you’ll have a visual reminder of all the information you’ll need. We learned a lot from that experience this summer. We’re hoping that history won’t repeat itself. But if it does at least now our family will be equipped to deal with such an emergency. This is one of my greatest fears! 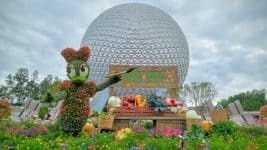 I think you nailed this post, providing easy ways to create peace of mind while at Disney, as well as ways to equip your children in the event they do become separated from you! 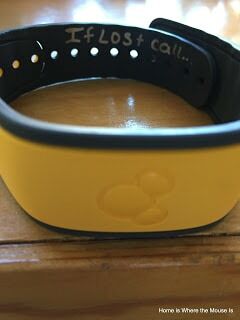 One tip, if you write on your MagicBands cover the writing with clear nail polish. Sweat causes sharpie and paint pen to rub off, so the extra layer of polish will help the writing stay put longer! On our trip in 2014 we lost our 3 year old son. We were at princess fairytale hall. We were filming it and in 30 seconds he was gone. And We got a cast member and helped us search. My son was found 7 minutes later trying to use his magic band on a trash can. I have never been so panicked in my entire life. After that we out those Mickey luggage tags and we out them on his belt loop. Thank you for sharing your story! It's such a scary situation. Thank goodness yours had a happy ending. Thanks for the tip about the luggage tag. Great idea! That is true. But for me, having my contact info on my child is an extra layer of protection (and peace of mind). While I teach my children to look for cast members, chances are they may come into with a Guest first. Having that info on them may get them back to me faster. I write our cell phone number on their shoes. If you write on the middle (arch part) of the shoe it doesn’t rub off and you don’t see it unless you are looking for it. All well-made points; shoe tags are another option and are used widely in the autism community. I will share with them. I’m sure Jackson is still getting those extra hugs and kisses!! These are truly helpful tips! We are going in 6 months when Sofia turns 3 and I am definitely doing almost all of these! Hopefully she will remember our number by then? At the very least the safety tattoo or info on the inside of the band. Thanks! Lisa, Thank you for writing this article! I think this is one of those topics that parents can’t hear enough. Most people don’t think about this until its too late. 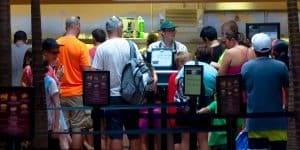 The more we get people to think about this before they go somewhere like Disney World, the less likely it will be that a child will be permanently lost. 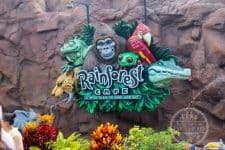 I just recently quit working in the child abuse field and started my own blog about Disney World. I intend to write an article about this very topic. I hope it is ok with you if I link to your article in mine. Thanks again! I’m a big fan of Road ID for everyone. We all wear them at the parks and they make them for little kids wrists and you can buy bigger bands as they grow.